Home Travelling from KSA Passport & Visa Issues How to get a Georgia visa for GCC residents and Iqama holders? How to get a Georgia visa for GCC residents and Iqama holders? 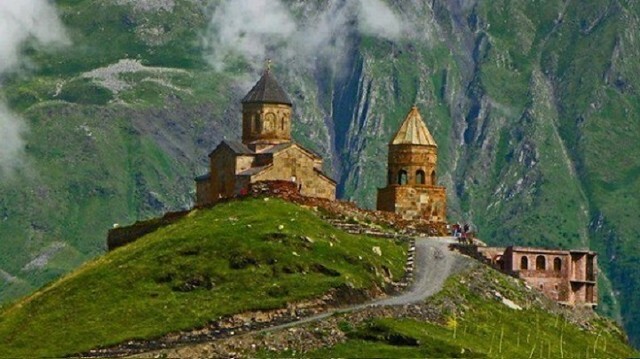 Georgia is a country full of natural beauty which shares the borders with Russia, Turkey, Armenia, and Azerbaijan. Today, we are going to share the procedure to get a Georgia visa for GCC residents or to be more specific a Georgia visa for Saudi residents. Georgia is a small country with an area of 69,700 square kilometers and a population of around 4 million. It is 31 times smaller than Saudi Arabia in size. The capital of the country is called Tbilisi and it is the main attraction for tourists from all around the world. It is situated in the Asia continent. Georgia is very famous for its scenic beauty and historical places. I would encourage all of you to visit this beautiful place. Many people ask us this question repeatedly, so before going to the process, I would like to clarify some points. Having said that, it is very important to read the following guidelines before making up your mind. In order to get visa-free entry to Georgia, make sure you have a valid passport for at least 6 months. Georgia immigration allows you to stay in the country for 90 to 180 days. If your passport is not valid for that period, you might face difficulties. Make sure you are carrying your Iqama (Residence Permit) with you if you want to get visa-free entry to Georgia. The validity of the Iqama (Residence Permit) should not be less than 3 months. Although they don’t publicize it on their website, you might face troubles if your Iqama (Residence Permit) is valid for a time more than you want to stay there. Make sure you have booked a return flight from Georgia. You will not be granted a visa-free entry to Georgia based upon your GCC or Saudi Iqama (Residence Permit) if you could not produce a confirmed ticket to return from Georgia after your stay. Make sure you are taking enough cash with you to meet your expenses in Georgia. I think $100 per day per person is enough in this regard. It is always better to carry USD there as you will get a very low exchange rate for Saudi Riyals or other GCC countries’ currency. If you don’t want to carry that much money, you can show them your credit card along with last month’s credit card statement showing your credit limit. It is also required to take a print of exit re-entry visa with you. If you cannot take a print of it, make sure you are carrying it in an electronic form on your mobile phone. They ask for it from Saudi iqama holders before allowing a visa-free entry to Georgia. All GCC residents are required to carry travel insurance to get a visa-free entry to Georgia. It is not difficult to get it as you can request your health insurance company to get one for you free of charge. You can always check if you are required to get a visa to Georgia using this link.